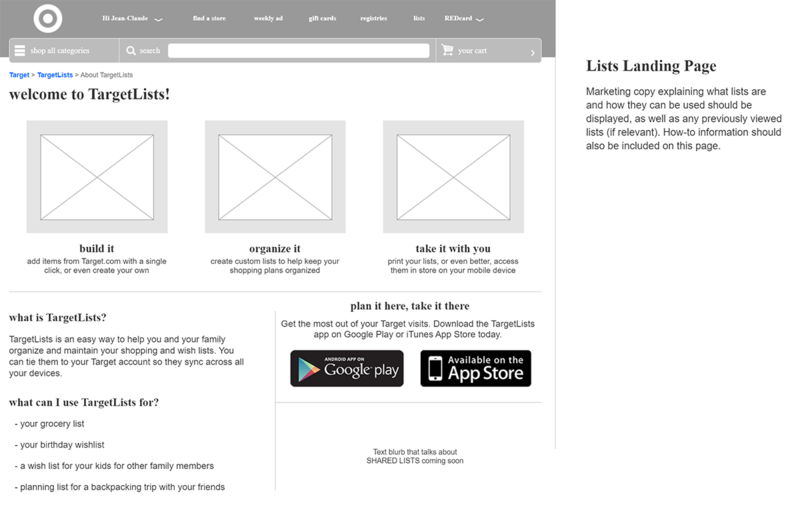 While contracting as part of the Target IxD team, we were tasked with the designing a new version of the TargetLists app for both mobile and web. The goal was to enable a co-shopping experience where guests could easily enter the items they need, and share the list with others. Guests could then both shop from the same list during their next Target visit, with items being marked off in real-time between users. 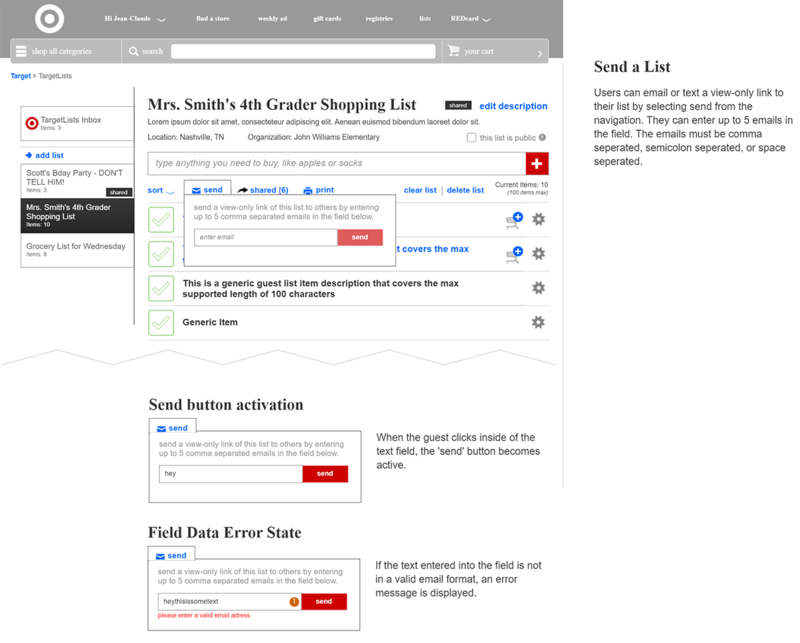 As the UX architect, my role was to work evaluate the existing TargetLists web experience for desktops, and work with the Product Manager to discover ways to improve it. We began by having a series of workshop sessions to identify the various pain points of the existing application, with the aide of personas that we had developed. Using feedback that had been gathered from users, we whiteboarded new customer flows and screens. 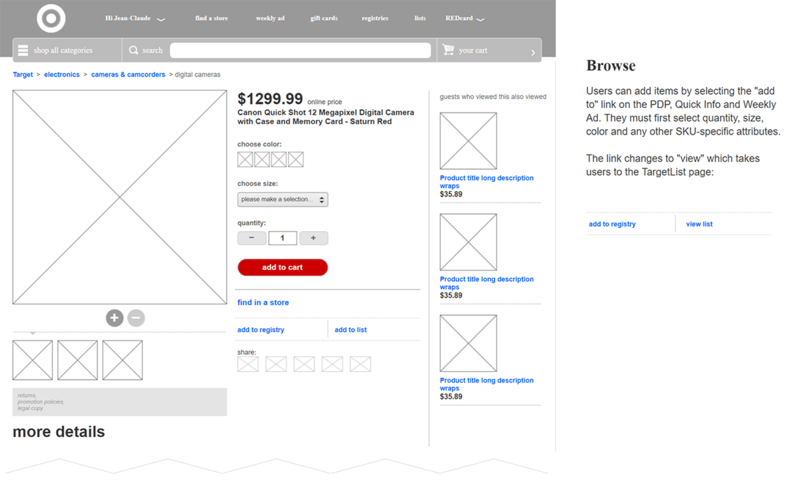 Once we were satisfied with the direction we were heading, I created a series of wireframes and prototypes to get a feel for how the new experience would work, and capture various interactions and animations. These prototypes were then used in research sessions to garner additional feedback from guests. We used this research to refine our concepts, while the design and development teams work collaboratively to build out the web application. 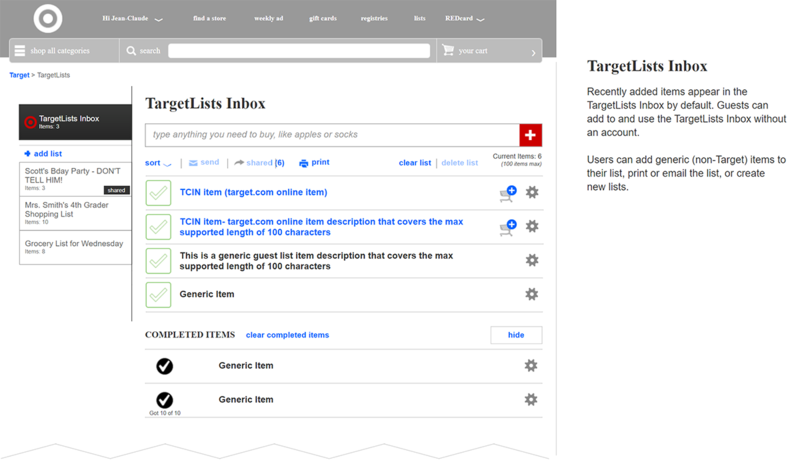 The new version of the TargetLists application launched in the fall of 2014. Guests can now use the web app to plan their ‘Target runs’, and easily check off items on their mobile device as they shop.